Short Answer: No. There have been literally hundreds of missile strikes and other attacks on Israel by her Arab enemies since the last Arab-Israeli War in 1973 (Yom Kippur War). Yet no war has erupted. This is just more military action so common to the ME region and general world history that Jesus specifically warned about not taking as an end time sign or being troubled by. Long Answer: As the article below explains, it has been 45 years since the last Arab-Israeli war despite the Arabs still hating Israel and wanting to destroy her. What's held it back despite hundreds of clashes since then? Keep reading below and you will understand all the real conditions in Scripture to Damascus's destruction—probably the next event in prophecy. This event sets up everything else, including the Third Temple the Antichrist makes his base, the gathering of the faithful to Israel. It's no mystery who is most endangered by the prospect of Iran possessing nuclear weapons. Israel has threatened to make a preemptive strike on Iran's nuclear sites if sanctions continue to fail. This is no empty threat as Israel has bombed the nuclear sites of hostile nations in the past. Back in 1981, Israel bombed Iraq's nuclear reactor, receiving worldwide condemnation for it at the time. Then in 2007, Israel sent planes to bomb an alleged North Korean made nuclear reactor in Syria. It sounds just like the Samson Option is exercised after Israel is left with no choice but to use her nuclear weapons against multiple enemy nations and cities. Their armies will literally be gone, not to mention a large segment of their civilian populations. The nuclear war casualties could easily surpass ten's of million people. No wonder Isaiah says that the situation shifts overnight from terror for Israel to tragedy for her enemies. As reported in Der Spiegel, intelligence sources confirm that in that last war (The Yom Kippur War), Israel had nuclear weapons loaded on the fighters planes ready to go if things continued to worsen for her. The Arabs know Israel has these weapons and is willing to use them if necessary just as they are willing to do unpopular preemptive strikes when necessary. This nuclear deterrent would explain the relative quiet since 1973. It has changed the balance of power. Israel's enemies risk inviting asymmetrical force if they try to overrun and take over Israel as they did when the State of Israel formed in 1948. For this reason, I believe the Arabs have not joined in war against Israel again. Many prophecy pundits who expect this prophesied Middle East war often think that it will lead next to the Ezekiel 38-39 Gog Magog war. The reason for this is Ezekiel also talks about an attack on Israel. The attacker named as Gog of Magog is popularly thought of to be Russia, or lately, even Arab or Islamic hoards. But if you put the Magog identity question aside and focus on the timing of this war through linking it up with two parallel prophecies, you'll see that it has nothing to do with any pretrib war. I've written another article explaining this called: The Two Gog Magog Wars. To continue learning on that topic see my article Earthquakes in Prophecy or the Sign of the End Jesus gave. Obama's now-defunct deal with Iran to limit their nuclear program was an interesting development for those watching the Damascus prophecy. The deal tried to block an Iranian nuclear bomb by monitoring Iran with inspectors and reducing their uranium stockpile and centrifuges needed to enrich more uranium. At face value it would seem to delay Iran being the answer to Israel's enemies acquiring a nuclear arsenal, but did it? When you understand the above, the latest rockets from Gaza and ISIS having nuclear material will not lead directly to Damascus' destruction. The rocket attacks have been going on for years. Israel simply does retaliatory strikes in response. The nuclear material seized is low grade Uranium, not weapons-grade, the kind you need for making a bomb. Even a dirty bomb made with it would not be effective. After many years of me dismissing rumors that "Damascus' end is nigh," something changed in 2017. In December of that year, Trump announced his official decision to both recognize Jerusalem as Israel's capital and to move the US Embassy there. I was convicted this finally was a significant event making progress towards the ME War and immediately started writing an article on the US Embassy Jerusalem move. That night my conviction seemed confirmed by a special dream. Months later, I got further confirming insights about the ME war indeed coming soon. I had previously only understood the war must come by or before the 2024-2030 Sabbath year cycle candidate for the 70th week. But as my 50th birthday approached, I got insights about the ME war coming specifically in the year 2022 as you can read about in my supporter's section. For more on this objection, see this blog post Refutting Chris White's Arguments On Why Psalm 83 not a Prophecy. Thank you for your valid points. Great article, God bless you! I agree with most of your biblical research. One exception. The “taking away of the sacrifice” mentioned in rev. is not from a “rebuilt ” temple. It means that the sacrifice of Jesus will no longer be in force ( My spirit will not ALWAYS strive with man). God pulls the sacrificial blood and releases His wrath on the earth. Do you find fault with this? I hugely enjoy ALL of your writings. I loaned out your book and it was never returned. Never the less, I can keep up somewhat with these great articles! Abe, Actually it’s not Revelation but Daniel who mentions taking away the “daily oblation” sacrifice several times, Dan 8, 9, 11, 12. In context there is no doubt about what it’s talking about, the daily sacrifice done at the temple and stopped by Antiochus Epiphanes who sacrificed a pig on the altar instead. It talks about it happening again under the Antichrist, so we should expect the same thing, right? So for me, it can’t be about Jesus because his death was one time not daily. Plus the daily sacrifice was not the main one pointing to him, but that’s the Passover lamb, yes? Also there’s pretty clear plain text in the Bible on another temple during the Great Tribulation for the Antichrist to sit in. Now I realize many Christians prefer the view you have and that there is no temple (“we are the temple”) and no sacrifices (“it would be an affront to Christ’s sacrifice to have animals killed again!”) but this is what the Bible plainly says to me. Plus there’s no problem with sacrifices again with what Christ did as I cover in this post. Many thanks for careful observation of fulfilment of Prophecies. I was told that there will be a nuclear peace treaty, and that’s when Israel will be attacked, Israel will break the treaty and bomb its enemies, destroying Damascus, in response most nations will turn on Israel. Any thoughts on this idea? Also I do agree with you on the idea that it will be bombs that wipe Damascus out but are there any other ways, I am thinking like the events that brought Sodom and Gomorrah down or the walls of Jericho? Tina, I can’t see Israel ever making a treaty promising to that use their nuclear weapons because it’s the nuclear superiority is the only thing keeping the Arabs from joining together again to wipe Israel out like they tried three times already. For your other question, read Isaiah 17 yourself and you will see that it’s describing a war about people trying to destroy Israel and this is what happens to them that they get burned up. Also notebthat there are casualties In north Israel too which fits a war that both sides have casualties even if Syria got the worse end. Pardon me for having a different opinion. I very seldom differ with your views. I do find it difficult to evaluate Psalm 83 as a “prophecy” or perceived future event still to take place PARTICULARLY for the Jewish State of Israel. By saying this, it does not mean that there would not be a future ME war in the region. I have no doubts about Isaiah 17 and the end of Damascus. The scenery however has changed with regards to the “people” of ancient times versus today. The Psalm was probably written and born out of fear for ancient Israel’s enemies who are coincidently still the same nations living as neighbors to the land of Israel today. The whole idea must be viewed and understood as in the time that the Psalm was written whilst “THY PEOPLE” was then still present in the land of Israel. Today, “THY PEOPLE” are not totally made up by the few Jews living there. Perhaps, partially only. They,“THY PEOPLE” are today represented by the scattered Israel nations and are also those called “THY HIDDEN ONES”!! So they are “hidden” elsewhere on earth and yes, the heathen world still has the same agenda to wipe the descendants of Israel (or anyone representing the name of Israel) off the face of the earth wherever they are to be found! It is therefore also very difficult to direct any unfulfilled prophecies with regards to the true nation of Israel and allocate them to the current Israeli (Jewish) nation. God’s true covenant people “THY HIDDEN ONES” are millions more and they are to be identified and found elsewhere. The fact that the so-called “Gentiles” are the “HIDDEN ONES” and were all along the “Lost/scattered” nations of the House of Israel remains a “HIDDEN” mystery to many Christians. The reason for this misconception is because of the “deceitful” lie that the “Jews” as a single nation represent true Israel of old, who have supposedly returned to their land. Yes, there certainly may be a number of true Judeans amongst the ‘Jews”. The reality is that they are predominantly the descendants of Esau’s (Edom) mixed races. Their main enemies are the descendants of Ishmael and together they all claim the land that belongs to Jacob (true Israel) currently scattered across the globe. Who and where are they (God’s True Covenant People): Yesterday, today and forever? The reference to the above can only be attributed to the total 12 tribes of Jacob (Israel) and none else. (No single nation) could claim this identity of “THY PEOPLE” for themselves and certainly not the 6 million Jews (Israelis) or a potion of them living in the State of Israel! Therefore it is also rather selfish and deceitful for the Jewish State to claim the words of God Yahweh entirely for themselves – “I will bless those who bless Israel. (Genesis 12:3) Which Israel? True Israelites (Yisraelites), are the people formed from the many millions of physical descendants of Jacob/Israel now living in, and scattered throughout, all the Nations of the globe. Enemies of the scattered Israel nations may very well still utter the words of – “Come, and let us cut them off from being a nation; that the name of Israel may be no more in remembrance”. Psalms 83:3: They have taken crafty counsel against “THY PEOPLE”, and consulted against “THY HIDDEN ONES”. Psalms 83:4: They have said, Come, and let us cut them off from being a nation; that the name of Israel may be no more in remembrance. 2 Chronicles 7:14 – and “My people” (Israel) who are called by My name humble themselves and pray and seek My face and turn from their wicked ways, then I will hear from heaven, will forgive their sin and will heal “their land”. 15″Now My eyes will be open and My ears attentive to the prayer offered in “this place”. Scattered Israel currently lives in many countries as in “their land” and their “time of trouble” is to be found in many “places”. Deuteronomy 4:27 – “The LORD will scatter you (Israel) among the peoples, and you will be left few in number among the nations where the LORD drives you. Psalm 106:27 – And that He would cast their (Israel) seed among the nations And scatter them in the lands. 10 Hear the word of the Lord, O you nations, and declare it in the ISLES and COASTLANDS far away, and say, He Who scattered Israel will gather him and will keep him as a shepherd keeps his flock. On April 7th Sweden had it’s second terrorist attack and people have died this time. Sadly to say, we are all walking among terrorists here, myself including. Our Government unwisely accepted. They are just waiting for the right time to attack, for more Muslim refugees to come so that Jihad is effective and Islam victorious. Tim, Another good article. Lots of things going on right now. Damascus days are numbered. After the elections in France and Germany, I think all the players will be in place. It occurs to me, after the demonstration of the MOAB bomb in Afghanistan this week, that it wouldn’t take too many of those bombs to turn Damascus into a ruinous heap. If Israel or the US didn’t want to go nuclear against Damascus and risk nuclear fallout polluting Israel which is only a few miles away across the border at the Golan Heights, using very large conventional bombs could be the way they will do it. Perhaps the demonstration in Afghanistan was aimed at scaring Assad of Syria just as much as Kim Jong-un of North Korea. I have a question about Psalm 83:8. Why does it say “even Assyria has joined them” and not simply “Assyria has joined them”? Could this be a hint/point to an unexpected nation that will be joining the Psalm 83 alliance? A nation Israel didn’t consider, because they up to that time believed that Nato would restrain and prevent it. Could this be Turkey under Recep Erdogan? No, Andreas, Assur is not Turkey. Your intuition about the importance of Assur is correct. It is the mightiest country of the plotters, very respectable, and be in command, that is, will call the shots. It is definitely not Iran, Iraq, Syria, or Turkey. And I salute you for a real understanding of the history of Israel and, particularly, the issue of the “Lost” Ten Tribes of Israel. Tim is very good in analyzing geopolitical events of the World, especially the Middle East’s affairs. What is missing here is the wars of the kings of the north and south, described by Daniel 11:40-45. Even though nations are no longer located within their ancient borders, it does not mean that they have disappeared from history. It seems that God has seen fit to hide this truth for the present. The Prophet Asaph listed the nations that were well known to the ancient world in his time—without tying people’s dwellings to certain geographical boundaries. His main goal was to rightly identify these people in the End Time, when the Psalm 83 prophecy kicks in, regardless of their ancient geographical locations. As a seer, he foresaw that the people whom he prophesied about would not remain for thousands of years in the places that they occupied at the time, and would move all over the Earth. The best illustrations of it are Assur and Edom, which you identified incorrectly. Such vision is a gift of prophecy. If one disregards this situation and tries to identify those nations by their previous geographical areas, it will misinterpret and twist the prophecy, and even nullify the essence of it. Yet that is what exactly many theologians have done with the Asaph prophecy. Alexander, all the named nations of Psalm 83 attacking Israel are surrounding Israel. It’s very interesting that the same nations are Israel’s enemies today and who have recently banded together three times already to attack (in 1948, 1967, & 1973). Psalm 83 predicts a fourth such war, so to claim that the nations named now refer to enemies elsewhere away from Israel I think overly complicates things that work fine just the way they are read most simply. This is not “Mystery Edom” as in a Mystery Babylon=America. It’s just Edom. Notice also that in the end times Edom, Moab and Ammon are said to escape from the hand of the Antichrist (Dan 11:41). Those three peoples make up modern Jordan, which is actually Israel’s land and also is close enough to flee to from Judea. So what makes most the most sense again is that Edom is still Edom = Jordan, not, say, Timbuktu. The more I read Pslam 83 the more I think that it may not be describing a “traditional” war as what has occurred in Israel’s recent past by these Arab states. This strategy has clearly not worked (not saying they won’t try it again in some form) . Who’s to say the “initial” salvo doesn’t involve some kind of sneak attack with some powerful weapon (nuclear, biological, etc..) that’s smuggled (and released) in the Northern area of Israel. With Israel on it’s knees (literally) the aligned enemy states decide to go for it (not having a “traditional” build up of forces as per the norm of modern/traditional warfare). The enemy states ‘may’ have nukes (thinking they’ll be safe with them) but I think the deciding factor in attacking Israel will be in having this type of tactical advantage—otherwise, both sides having nukes usually leads to a stalemate (as the other side knows if you get close to defeating the other side they’ll use their nukes in retaliation)…The only sound strategy is to break Israel’s knees quickly enough to give them the chance to get that decisive final blow—which it sounds like they’ll fail to achieve. The reason I say this is because I see no way (at least currently) for a large military buildup to occur in this area given the current geopolitical environment. I don’t believe the required tactical advantage are traditional nuclear weapons but having the ability to surprise Israel in a manner that is not only confusing (as to whom has attacked you) but is also devastating enough to allow for a quick and decisive victory (with lower numbers of follow-up forces). Another potential issue to the Psalm 83 war beginning (to me) is the US’s role in the middle east currently–There’s a reason she’s there (establishing natural gas pipelines from what I’ve read) so for her not to be involved in some manner is perplexing to say the least! First, thank you for your excellent work and for sharing your insight. It is a year and a half since this post was published, and several events have come to occur. 1. The Iran Obama/Kerry nuclear deal has proved to be worthless. Iran has since stated that it has in it’s possession nuclear bombs (delivered via aircraft) not officially verified. 2. North Korea is willing and likely already has sold Iran missile technology and material. 3. Russia (this week) has falsly accused the US of preparing to attack Syria and is moving missiles and troops to the region. 4. Israel has announced newly discovered, significant oil and gas riches which Russia wants to control. Israel has highly advanced technology that the region greatly desires. 5. The IDF is preparing for an “all out, sudden war” via ‘Headstone 2018’ defensive operations to defend itself “while under missile attack from multiple Nations and directions”. I am of the opinion that we will see Israel attacked, and Damascus fall via an Israeli nuclear strike within weeks pf Passover, a month or two from now. John, this updated article came out over ten years ago. I’ve been watching and updating ever since and from what I’ve learned watching the M.E. since 2000, I don’t see this war being ready to happen this decade (next year), let alone this year. The Arabs are not stupid enough to attack a nuclear power without their own nuclear arsenal or the equivalent. They have too much to lose and little to gain. Talk to me again in a couple months if you can’t understand how I can be so sure. Hi Tim. If this war occurred before the next sabboth year cycle then would you say that it would make 2024-2030 a complete guarantee? Or do you think that it would just mean that from that point onward ALL future cycles have the full potential to be the one? And not necessarily 2024-2030. Or would 2024-2030 have to be the one? Thank you. Tony, the Damascus prophecy is only a prerequisite to the 70th week fulfillments. It happening does not in Scripture demand the immediate precipitation of the 70th week. That said, God has a style of doing tings just in time. Also the effects of Israel allowing non-Jews to immigrate there are may only be temporary. If correct, that would demand the war happens near to the start of the 70th week. Finally, I have a new insight from two dreams God gave me that pinpoints what year the Damascus war will be that I’ll be sharing with supporters soon. Of course, 2024-2030 already looks confirmed to be the 70th week from other dreams. Hi Tim. Thank you for answering my previous question. I do have one other question if that’s ok. I was just wondering, should any action be taken when this war occurs? Or is it a case where action is only truly required when Elijah appears in the 2 year frame ( The next one being 2024 and 2025) that he’s supposed to? If that war occurs should people just continue as normal just with the knowledge that 2026 is the one? Is this right? Thanks. With Trump threatening Syria I had to go back to Isaiah 17 again. 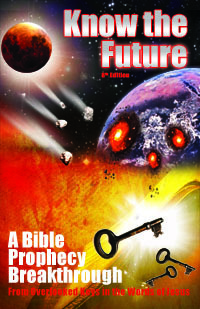 It’s great to find people who are considering these prophesies. There is so much to put together and pray about. Certainly Psalm 83, Zephaniah, Jeremiah 49, Joel, Amos, Micah 7. They all paint a picture there to study. One thing is sure, Yeshua will save his people. We are so close now. God Bless. In all of your discussion the pre-post trib wars with regard to Israel, Syria etc. I don’t see mention of the ‘Destruction or Existence of Mystery Babylon – who, when, what, how is this accounted for. It takes up quite a few pages of Revelation, discussion of this nation, how it’s destroyed, what happens after its destroyed, who does the destruction, what countries participate etc. Where and who is this nation, city place. My opinion it is the United States of America – we fit every description, we have the many waters, oceans on both sides… the people of many tongues being the melting pot of all nations – the sins are the sins of the nation – the great harlot – yet to be- I have a nomination – it’s easy to see in our current news is it not? The making of this harlot character also quite well described. Pre-trib yes! in fact once we are gone all the other elements that you discuss are allowed to come to fruit without hindrance. Heed the warning ; if your ears hear. Bill, America has nothing to do with the prophesied M.E. war; it’s over in 24 hours. America’s role is in WW3 since, yes, America is indeed Mystery Babylon the Great. I just read that Iran has just fired 20 rockets at Golan Heights, Israel. This has happened just a day after Trump pulled out of the Iranian nuclear deal. What do you make of all of this? Is this the start of the ME war? I know you stated above that you don’t see that happening this decade. Have these things changed any previous beliefs for you? Rebecca, once again following a “M.E. news event,” no, this changes nothing about the 70th week coming at the earliest next decade nor the Psalm 83/Isaiah 17 war coming before next decade. Why? Like the article above explains, the prophecies say that the Arabs “join together” to attack the only homegrown nuclear power in the area. Despite hundreds of missile attacks on Israel since 1973, the last time they did it, they have not done so. Again, why? They need time to get their own nukes like Iran is progressing on and join together to do poke a sleeping bear. Give them time to have nukes and then we’ll see! In your report this week, you again mentioned that the current Temple Mount is necessary to be back in Israel’s hands. However, recent archeological finds show that the current Temple Mount is NOT within the old city of David. Mount Zion is also “missing”, because over the centuries it has been “shaven down” to fill in the Kidron Valley (that was used as a city dumping area). So, there are those making plans now to start the building prospect. Also, all most all of the implements have already been made for the temple and can be seen at a current “museum” in Jerusalem. Tim, why are you sure that the Psalm 83 war has not already been fulfilled? Could it be Israel’s 6-day War? Nanette, first because there is no war that exactly matches it in history. For example, in 1967 Egypt was involved but in Psalm 83 is not mentioned. Second, even if it was fulfilled before, with prophecy’s tendency to have double fulfillments, a first fulfillment does not rule it out. Like we’re going to have Pentecost fulfilled again because Acts 2 did not fulfill all Joel 2 says like the blood moon. Tim, I am trying to let all this sink in. I am in a whirlwind right now where it seems God is giving me numerous messages that are converging to bolster what you present on your website. I ordered your book today. A question, have you seen Damascus recently? It doesn’t look very inhabited. Do you think this piece has already been fulfilled? Mr. Brown, thank you for your support. Yes, I see Damascus is still the capital city of Syria and still inhabited. It’s not ruins and uninhabited and is recognized by many as the oldest inhabited city to this day. When that changes, you won’t miss it! PastorB, every city has slums that you can focus in on as in ruins. 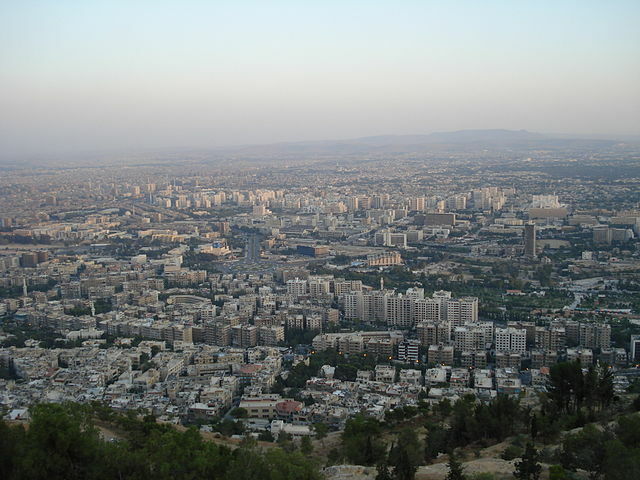 The prophecy says it ceases to be a city…meanwhile Damascus is considered the oldest continueously inhabited city. Try again? Tim, I was reading an article about the “Near Earth Objects” that scientists keep finding. Since the Angel at the altar takes fire and throws it down on the earth (Wormwood), is there a reason why the destruction of Damascus could not be caused by one of these space rocks? It seems that they would do a great job of reducing a city to a ruinous heap. There would be no nuclear fallout to contend with. At the time of Gods choosing one of these rocks arrives and wipes out Damascus. I imagine there would be collateral damage in Israel as well based on the rocks trajectory. What do you think? David, anything is possible. But I think given the parallel casualties in Israel described in Isaiah 17 along with Damascus’ destruction point to war between these two enemy states. Also the chapter ends by saying it is “what happens to those who try to spoil us (kill and inherit our possessions)” (Isa 17:14).